Tesla Motors faces challenges to build its Model Y crossover including increased competition, jeopardizing its other models and bringing a factory up to speed. The electric Tesla Model Y compact crossover will reach customers in fall 2020 with an initial starting price of $47,000 as SUV demand soars. Class 5 medium-duty truck sales leader Isuzu has added two new gasoline-powered trucks to its lineup to begin production in 2020. 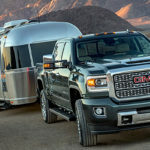 Trucks.com took a hands-on look at the functionality of all three new heavy-duty pickup trucks from Ford, General Motors and Ram. Ford announced a broad series of powertrain and technology improvements to its Transit vans and medium duty trucks at the Work Truck Show in Indianapolis this week. Ford Motor Co. is looking to plug a gap in an already robust truck lineup with the introduction of the F-600 at the Work Truck Show in Indianapolis. Ford is upgrading the 2020 Transit cargo van with new engine choices, a 10-speed automatic transmission and safety features such as automatic emergency braking. The redesigned 2019 Ram 1500 Laramie pickup truck offers a uniquely smooth driving experience that doubles for comfortable exploring. Daimler Trucks North America has packaged aerodynamic options for 5 percent fuel savings and automated driving features in the 2020 Freightliner Cascadia. Starting prices for the redesigned 2019 line of Ram Heavy Duty trucks will range from $35,090 to $68,645 including destination fee, depending on configuration and trim level.